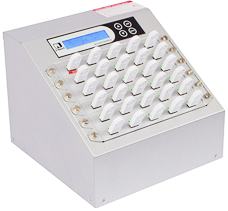 ⊙ Standalone, no PC required to operate the duplicator. 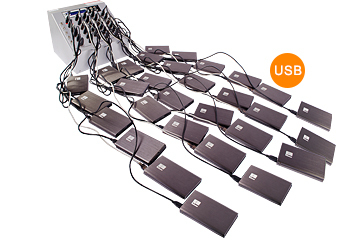 ⊙ Compatible with the USB stick 2.0, 3.0, USB- HDD 2.0, 3.0, and other various USB devices. 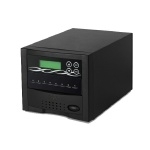 ⊙ Impeccable copy speed: up to 2.5GB per min for each port and up to 120 ports. ⊙ Supports all types of data format copying while doing bit for bit duplication. ⊙ Supports quick copy for Linux (ext2/ext3/ext4) and NTFS, FAT16/32. ⊙ The USB stick can have a capacity up to 64GB. 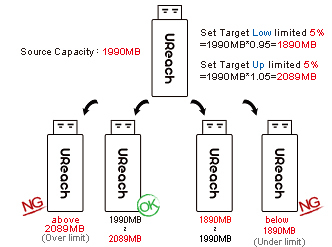 ⊙ The USB-HDD can have a capacity up to 2TB. ⊙ Easy maintenance for quick swap USB module. 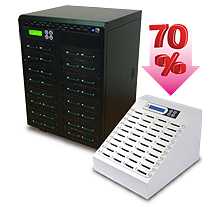 U-Reach USB drive duplicators are capable of copying at 2.5GB/m on all devices simultaneously, with no slowing down even the number of targets increases. (ext2/ext3/ext4) and FAT 16/32 to save your time. ※ Copy all kind of data format while bit for bit duplication. 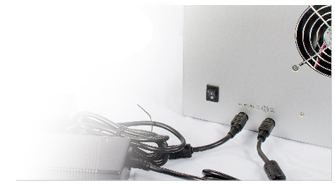 of Flash media, including the USB 3.0, USB-HDD, MP3 player, etc. With a specially redesigned and improved structure, users can easily exchange the sockets via THREE steps within ONE minute. Media check-H5 is the best inspection tool that helps to do quality testing with big volume quantity with the highest efficiency. 1. Highest efficiency：checks the bulk quantity all at the same time. Red Light indicates that the Flash didn't meet the selected standard. Sets limit of lowest reading and writing speed it picks up Flash devices that are below the setting speed. Set target tolerance it picks up Flash devices that have exceeded the tolerance range. 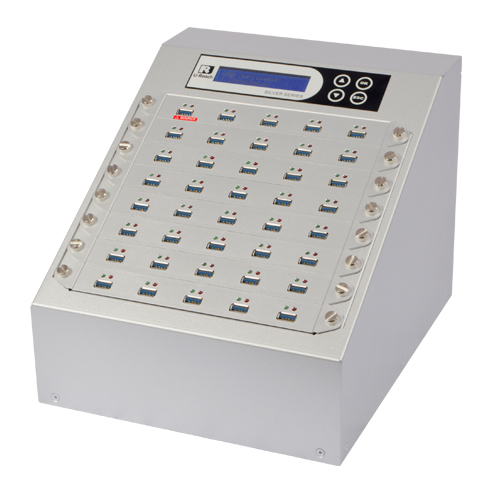 After the duplication task is completed, the Intelligent 9 USB drive duplicator will automatically cut down the power and signal to USB devices. Users can remove the USB sticks directly without any concern. ◎ Apply new advanced Multi-Core processor. 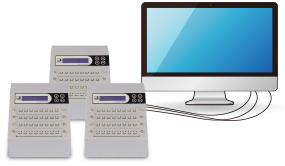 ◎ Complete standalone system, no computer required. ◎ Comply with USA Department of Defense (DoD) data security standard provides DoD Erase function. 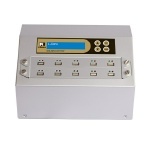 ◎ 4 kinds of professional quality diagnostic tools for Flash module. ◎ " A2 Fake Picker" shows accurate capacity of USB/Memory card to get rid of low quality or fake flash media. 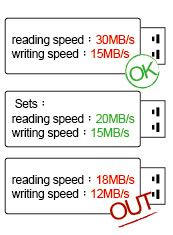 ◎ "Speed Check" shows Reading and Writing speed of the Flash module within 8 seconds. ◎ "H3/H5 Media Check" shows the quantity of bad block though bit for bit examination. ◎ 2 second format, 3 models available for selection. ◎ Supports Synchronous and Asynchronous modes for Copy/Compare/ Erase/ Format function. ◎ Strict bit-by-bit hardware comparison further increases the reliability of duplication. ◎ User-friendly interface with real time information LCD display. ◎ Firmware upgrade available with well-experienced team support.